Lack of a business report is an enterprise killer. In fact, it is foolish to spend money to run an enterprise and fail to account for how much you spend on visa and how much profit your business makes. And when you fail to account your expenses for quite too long, you won’t need a business advisor to remind you that failure will most likely be your biggest fate. 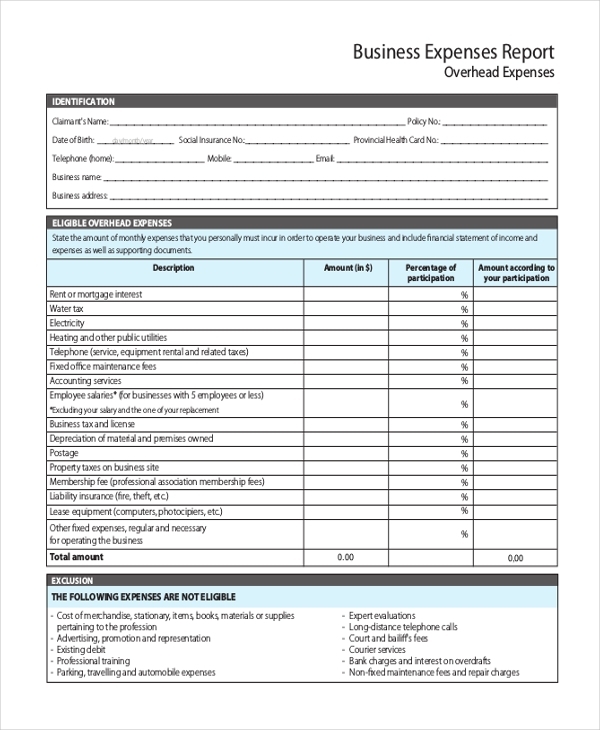 For the sake of being nice to your business, you can use the following business expense reporting form to examine your overall expenses. 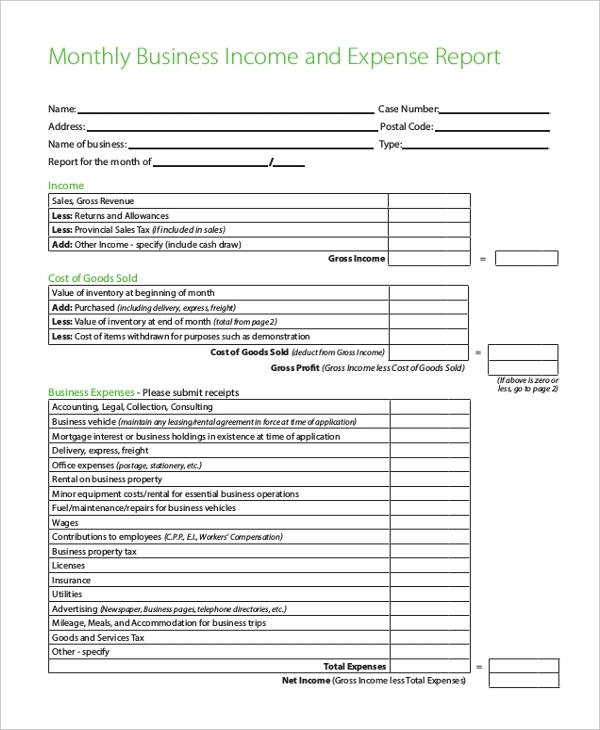 You may also use Business Financial Statement Forms. 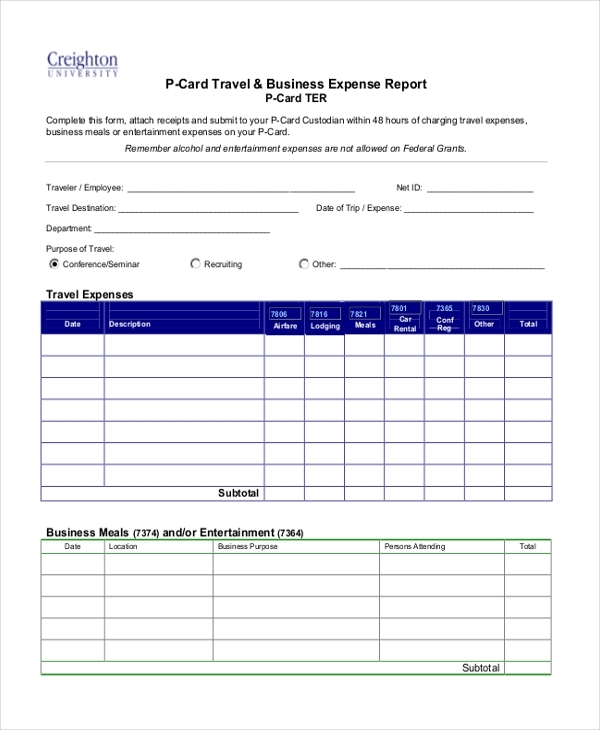 The sample expense report should help you write your business report with ease. The report will help you to optimize your daily spending. The template is print ready, so you can use it as is unless it is a must that you alter the layout. By accounting all your business expenses, you aren’t able to know how much you’ve spent traveling but also how much returns you’ve made, or likely to make, from your business travel. 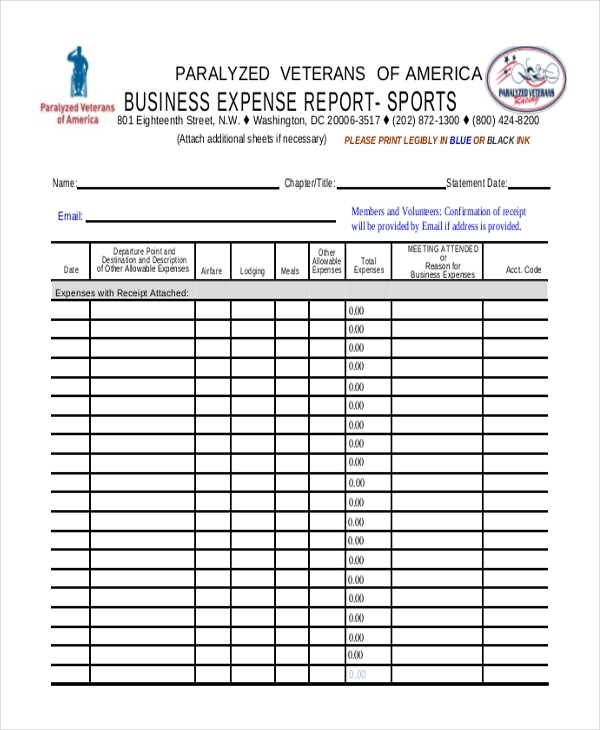 A sports businessperson can use this form to write a report of sports enterprise expenses. Instead of customizing the template or creating another flip form, consider using the layout exactly as is. 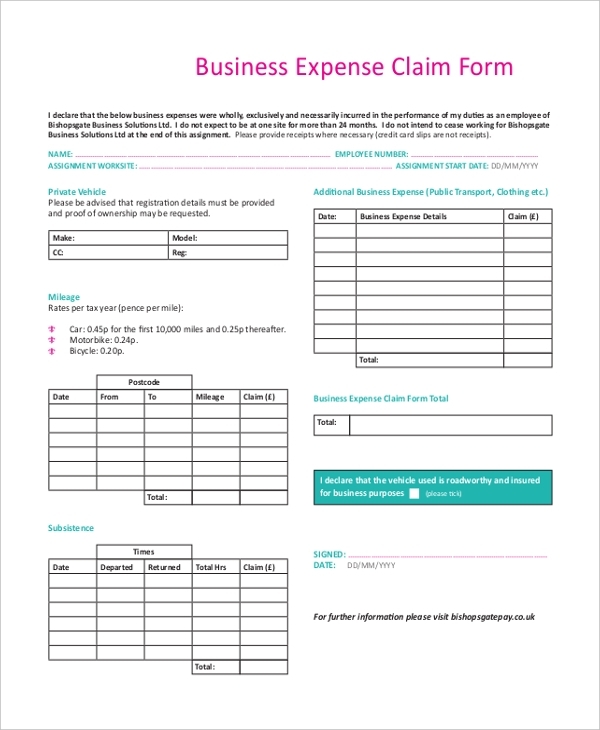 Employees who run a business on behalf of their bosses can use this business expense claim form to provide accurate, comprehensive report of when and how they spent the finances in question. If you have made a purchase on behalf of your company, you can write a report to your boss requesting a reimbursement for the amount of money spent on a business agenda. 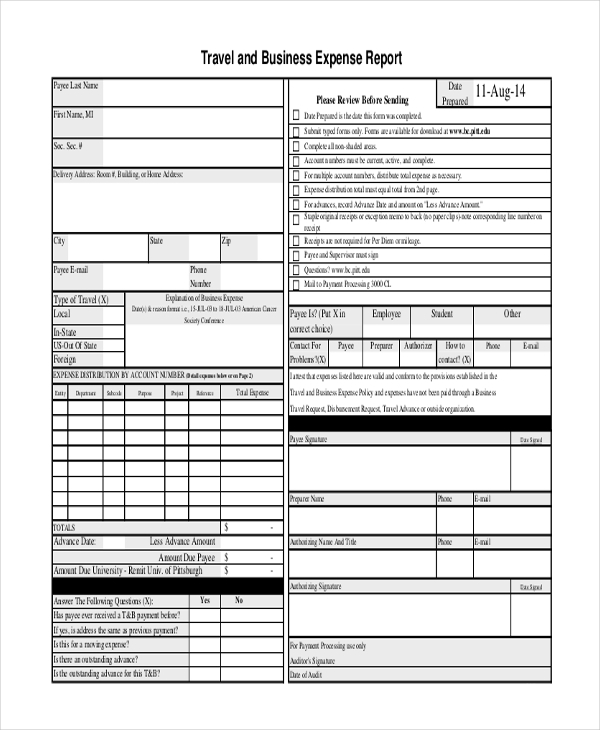 Use this form for the task. Reporting overhead expenses can help you understand why and when your business spend more money running than expected. The report can help you create a business plan to fix the overheads by optimizing and keeping them low. Business persons travel from time to time; they are all over different places trying to market their products and impressing consumers. 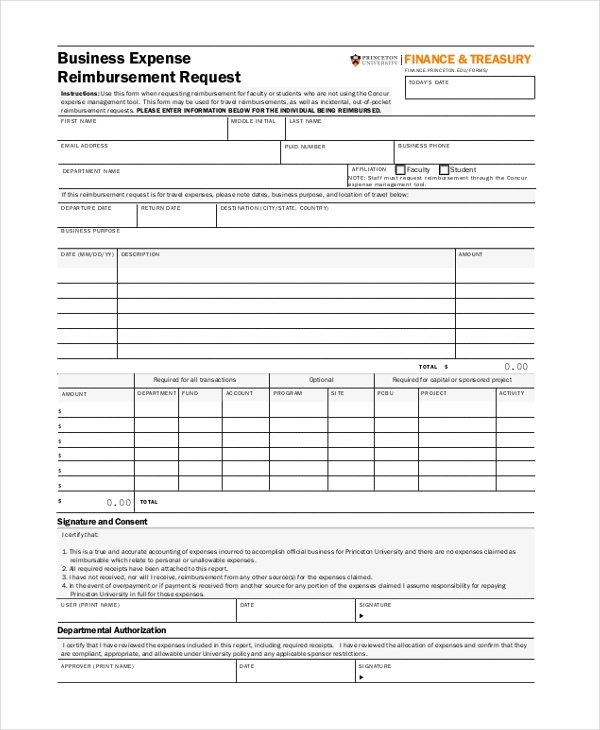 If you are one, you should include your travel costs in your expenses report using this form. Knowing how much your business earns as opposed to how much you spend will enable you to keep track of your enterprise’s progress. Moreover, you can use the report to optimize your expenses and earnings in the future. How to do a Business Expense Report? Because your company has a policy for filling out an expense report you need to make sure you review that before you get started. If you do not understand the procedure for business reporting, you should talk to your supervisor or seek help from the human resource department. The next thing you do is to obtain a copy of the statement and then review the statement before you fill it. Enter your personal details, outline the expenses, and then print the report before submission. Useful Business Consent Forms. What are the Benefits of Expense Reporting? The reason why you need to fill out a report is that your company needs the report to understand how it spends its money and resources on important business projects. Whether the expenses are within the expected budget or overly unexpected, the business still needs them for accounting and accountability. They are necessary for accounting, and they also help the business to determine how to optimize between revenues and expenses in the future. 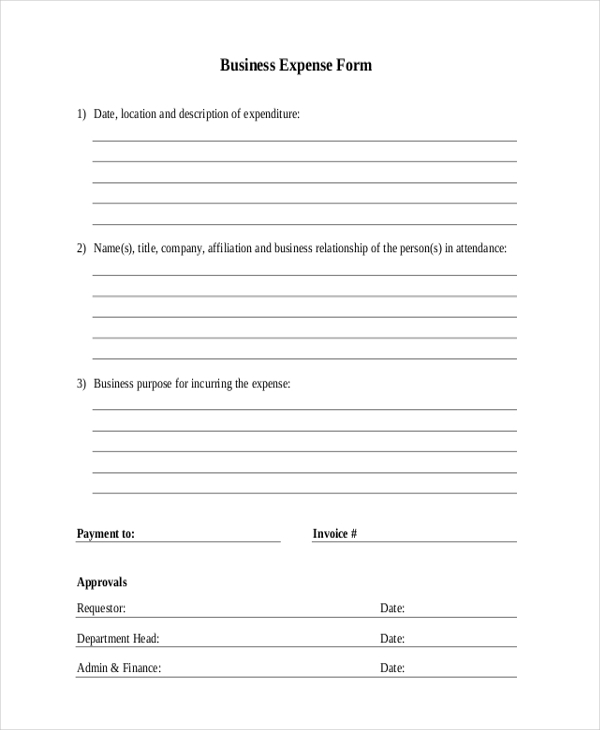 You can also see Business Expense Forms. It is important to understand that expense reporting is a business aspect that your company cannot ignore. Knowing how much money your business spends and why it does is the only best way to secure the future of the company. Failing to report expenses can have a negative impact on your expenses.